Meteorologists are prone to pangs of jealousy. You see, we all want the most interesting, peculiar weather to show up over our respective cities. It gives us something to babble about - it makes us feel important. So you can only imagine how much I'd like to be in New York City or Boston today. A late-season blizzard will drop snow at a rate of 2-3 inches/hour with thunder and lightning; winds topping 50 mph creating hour after hour of white-out conditions. 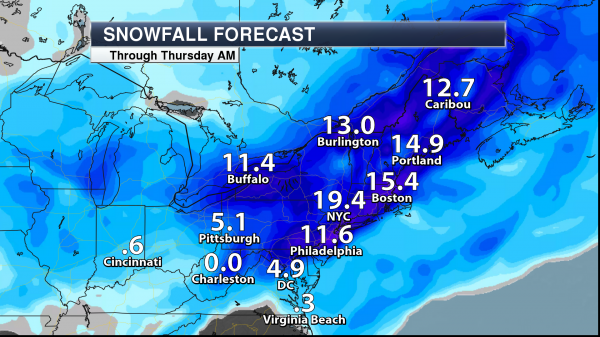 The northeast will effectively shut down for the next 48 hours. According to FiveThirtyEight New York has seen only 5 snowstorms of a foot or more in March or April since 1870. California just had the wettest winter in 122 years; now a super-sized blizzard for New England? There's more water in the air - more fuel for blizzards and floods. We've had our (3-inch) drama here at home. Take a mental snapshot of the snow in your yard - it'll be gone within 2 days. 40s return Thursday with 50s early next week. Models suggest a mild, Pacific breeze into late March. 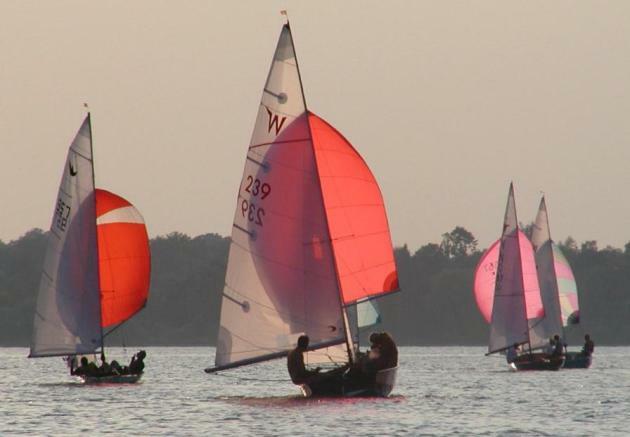 Spring won't come as early as 2012, but 2-3 weeks ahead of schedule. Image above: ECMWF (European) forecast of snow totals, courtesy of WeatherBell. Winter Storm Severity Index. Here's another way of assessing total impacts from a given winter storm: snow, ice, wind, power outage potential, all wrapped up in one (prototype) scale, but you get the general idea. This may be an historic blizzard from Lancaster and Harrisburg to Allentown, Wilkes-Barre, New York City, Hartford and Worcester, MA. Details and obligatory disclaimer from NOAA: "Feedback from this prototype will be used to evaluate potential product development. The purpose of the Winter Storm Severity Index (WSSI) is to provide NWS partners and the general public with an indication of the level of winter precipitation (snow and ice) severity and its potential related societal impacts. The WSSI does not depict official warnings, and should always be used in context with official NWS forecasts and warnings. Because this is a prototype, it may not update in a timely fashion. Always check the creation and valid times..."
Blowing Snow Component. NOAA's WSSI prototype predicts the most severe blowing and drifting from eastern Pennsylvania and northern New Jersey to Long Island, coastal New England and Cape Cod. Bracing for a Blizzard, Officials Close Schools and Stop Trains. No, this won't be just another garden-variety snowstorm. Details via The New York Times. 20+" for New York City? More details on preparation and likely impacts here. 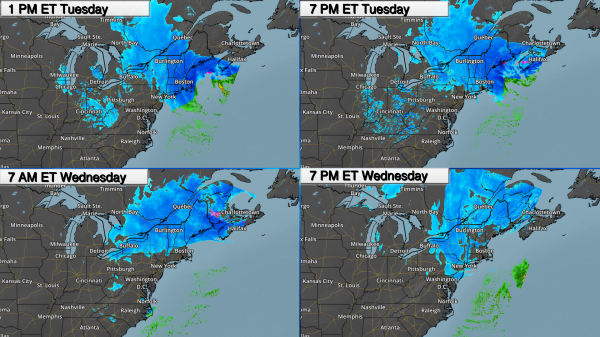 There is Nothing Normal About the Snowstorm About to Slam the East Coast. 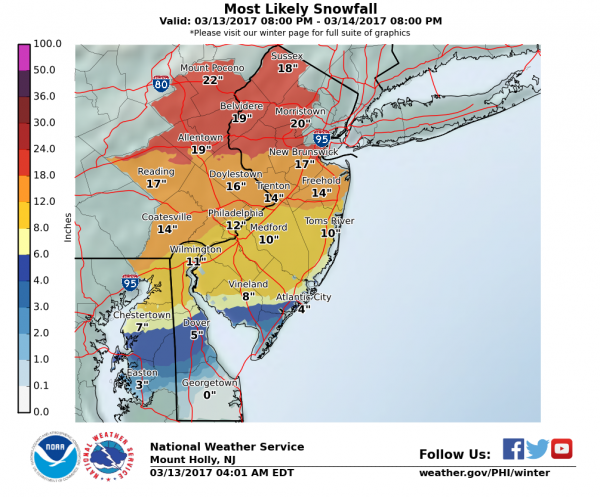 Mother Jones puts 20-inch snowfalls into cold, stark perspective: "...If you live on the East Coast, you might have become complacent about epic snowstorms like this one. Twenty inches or so doesn't seem like such a big deal when you've lived through similar storms. But looking at the data, you'll see that 20-inch snowstorms are a relatively new phenomenon in places like New York City. For the first 100 years that meteorologists kept weather records at Central Park, from 1869 through 1996, they recorded just two snowstorms that dumped 20 inches or more. But since 1996, counting this week's storm, there have been six. (You'll find similar stats for other major East Coast cities.)..." "Blizzard Alley" Runs From Long Island to Cape Cod. Perhaps it's no surprise, but proximity to the Atlantic Ocean and less friction near the water increases wind speeds and the potential to exceed blizzard criteria (35 mph winds + 1/4 mile or less visibility in falling or blowing snow). * The largest snowstorm of the season – and potentially a historic March system – will impact Washington D.C. to Boston Monday Night through Wednesday. * The worst of the storm will come Tuesday from Philadelphia to New York City and Boston, with snowfall rates of 2-4” per hour, strong winds (30-60 mph gusts) and white-out conditions. * Forecast snow totals: 5-10” Washington D.C., with a foot or more of snow from Philadelphia to New York, Boston and into Maine. Heavy Snow Moves In Tonight. A strengthening low pressure center will move up the east coast as we head through Tuesday, bringing with it heavy snow (potentially 2-4” per hour at the height of the storm) as well as 30-60 mph winds. Wintry precipitation will start this evening in areas like Washington D.C. and Philadelphia, with snow spreading into New York City and Boston during the overnight hours. Snow will continue through the day before pushing out to the northeast through the afternoon and into Tuesday Night. Winter Storm And Blizzard Warnings. Winter Storm and Blizzard Warnings have been issued from Virginia and West Virginia through most areas of the Northeast ahead of this nor’easter, with a wide swath of at least 6” of snow expected across the region. Some of the heaviest totals will be near/along I-95, with over a foot possible. Strong, gusty winds up to 60 mph will be possible with this system as well, especially near the coast. 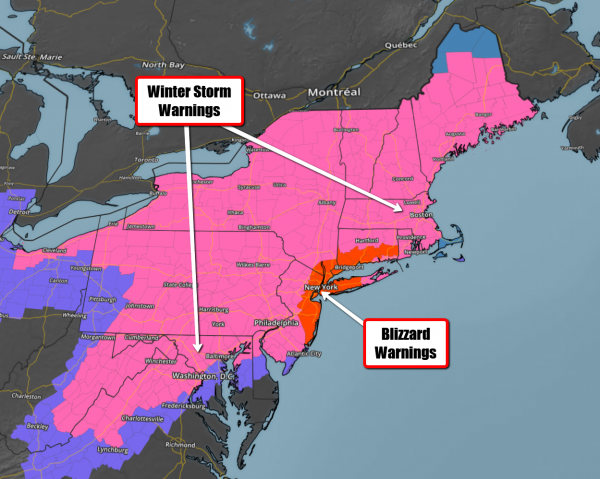 Blizzard Warnings have been issued for parts of New Jersey, New York and Connecticut due to these concerns. 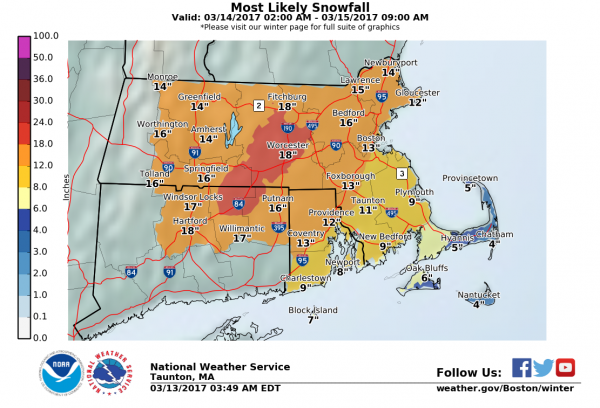 Blizzard Watch – Boston. 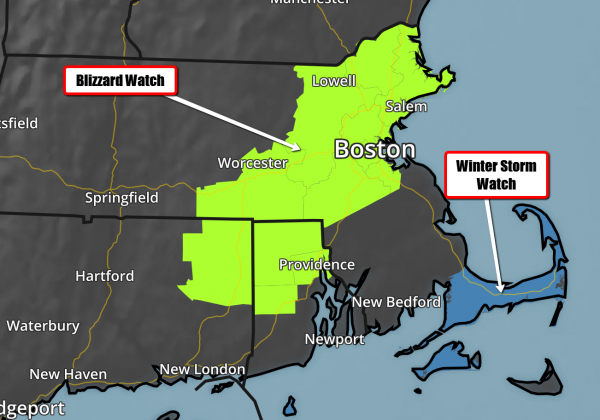 While Boston is currently under the Winter Storm Warning, a Blizzard Watch is also in effect for the likelihood of wind gusts up to 55 mph tomorrow afternoon and evening. Snowfall Forecast. Some of the heaviest totals are expected along the I-95 corridor through the middle of the week, with totals of a foot or more likely from Philadelphia northward into Maine. 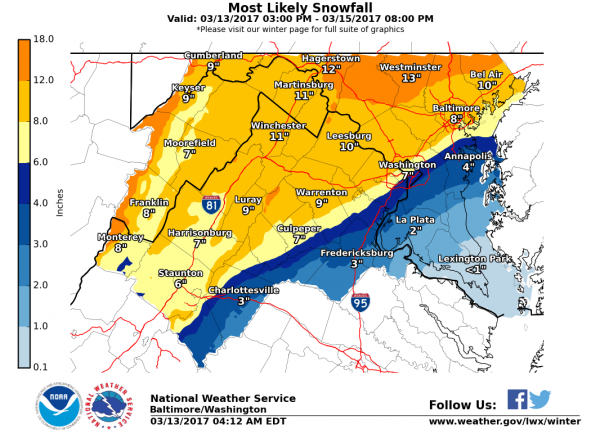 Washington D.C. is expected to get 5-10” of snow, with the potential of some mixed precipitation helping to cut totals down a little bit. A mix/change over to rain will also be possible along parts of eastern Long Island and Cape Cod, reducing overall snow totals. 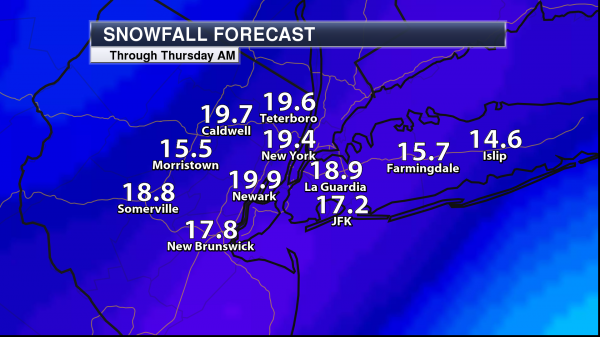 New York City Snowfall Forecast. Our internal models are showing the potential of over a foot and a half of snow within the New York City metro through Tuesday. During the height of the storm Tuesday, snowfall rates could be as high as 4” per hour. This, along with wind gusts up to 55 mph, will cause white-out conditions and paralyze travel across the region. High Potential Of Blizzard Conditions. The Blizzard Potential Index shows a high likelihood of blizzard conditions occurring tonight into Tuesday across the Northeast. 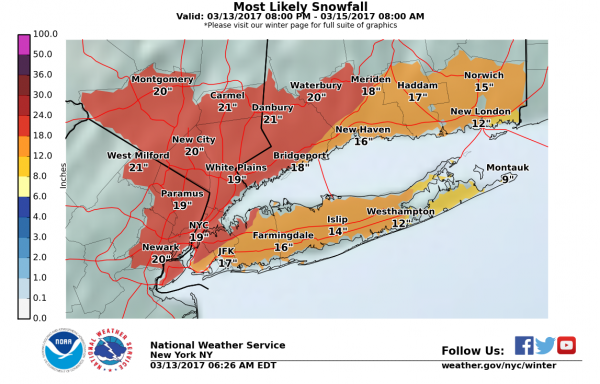 Some of the worst conditions in New York City will be during the morning into the midday hours Tuesday, spreading across the Boston metro by the afternoon. Summary: Winter is quickly coming back to the Northeast over the next 24-48 hours, with a foot or more of snow likely through Tuesday Night for areas from Philadelphia to New York City and Boston. Snow will begin tonight across the region, so preparations should be completed today for this upcoming system that will not only bring heavy snow with it (potentially falling at 2-4” per hour during the height of the storm) but wind gusts of 30-60 mph with it as well. Operations will likely be heavily impacted Monday Night into Wednesday from this storm. 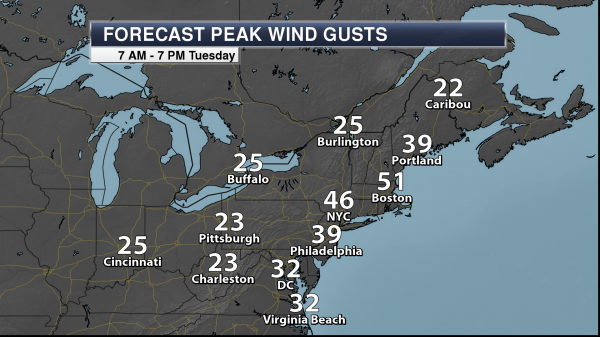 Travel will be nearly impossible across parts of the Northeast Tuesday, and some power outages are likely. 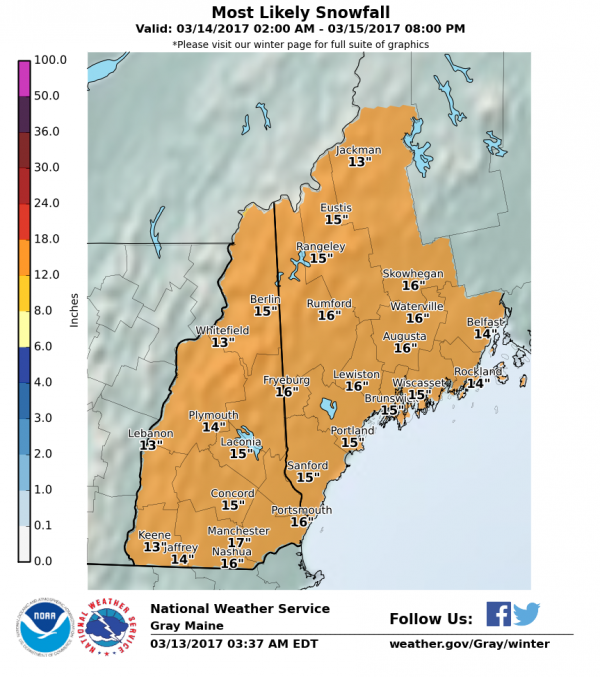 One of the Biggest Late-Season Snowstorms on Record? Certainly for New York City; 1-2 feet of snow in mid-March is exceedingly rare. Even our blizzards are super-sized now. Here's an excerpt at FiveThirtyEight that made me do a double-take: "...There have been just five snowstorms of 12 inches or greater in March or April since record keeping started in 1870. More amazingly, none of them have happened in the past 57 years and just one of those happened at this point in March or later. That storm, back in 1896, dropped 12 inches. So as long as this storm has just slightly more snow than is predicted at the lower end of the forecast range, it will be the greatest snowstorm this late in the season in recorded New York City history. 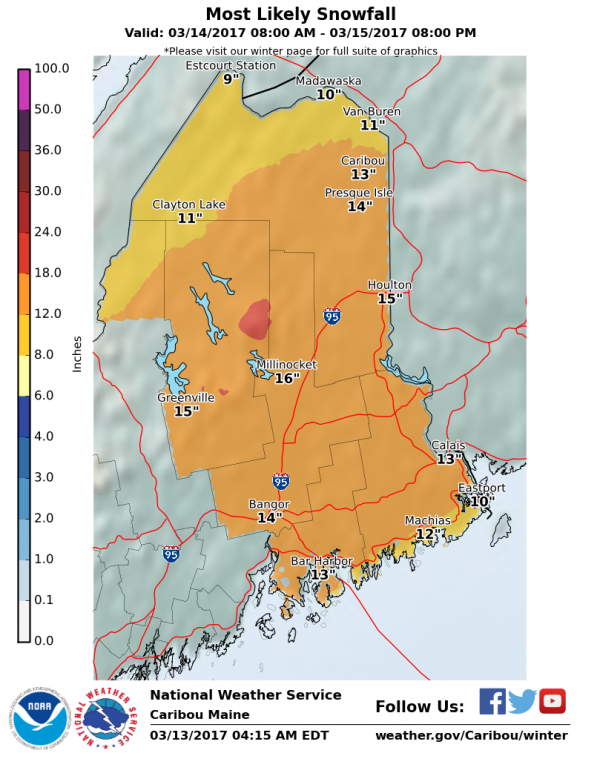 If the snowfall hits the upper end of the forecast range, this storm will challenge the infamous Blizzard of 1888 for the largest March or April storm ever..."
On This Day: The 1993 "Storm of the Century". I remember it well. Here's an excerpt from NOAA NCEI, the National Centers for Environmental Information: "On March 11–14, 1993, a massive storm system bore down on nearly half of the U.S. population. Causing approximately $5.5 billion in damages ($9.2 billion in 2016 dollars), America’s “Storm of the Century,” as it would become known, swept from the Deep South all the way up the East Coast. With a central pressure usually found only in Category 3 hurricanes, the storm spawned tornadoes and left coastal flooding, crippling snow, and bone-chilling cold in its wake. Of the more than 200 weather and climate events with damages exceeding $1 billion since 1980, this storm remains the country’s most costly winter storm to date..."
From Plowable Snow to 60F in a Week? We may come close to 60 degrees Sunday, according to ECMWF ensemble guidance. No more bitter smacks are on the horizon into early April. Graphic: WeatherBell. Z-Z-Zonal. No high-amplitude pattern capable of buckling jet stream winds, resulting in flooding or blizzards looking out 2 weeks, according to NOAA's GFS model. The flow is westerly, drier and milder than average east of the Rockies with more storms pushing into California. California Storms: Wettest Water Year, So Far, in 122 Years. The Mercury News has details of a stunning meteorological turnaround: "Fueled by a parade of “Pineapple Express” storms, California is in the midst of its wettest water year in 122 years of record-keeping, according to federal scientists. Between October 2016 and February 2017, California averaged 27.81 inches of precipitation, the highest average since such records began being kept in 1895, according to data released Wednesday by the National Centers for Environmental Information, part of the National Oceanic and Atmospheric Administration..."
A "Reckless Plan" to Starve NOAA? Here's an excerpt of an Op-Ed from Bloomberg View: "...In any case, NOAA also works on weather models and forecasts, which protect all Americans and many businesses from storms and flooding -- a service worth an estimated $100 annually to every household in the country. TV weather reports and forecast apps depend on data collected and processed by NOAA, as do the insurance and aviation industries. The satellite program needs consistent funding to maintain a well-operating and up-to-date fleet. Jeopardizing the next generation of satellites puts at risk the ability to manage accurate forecasts two decades from now. Some parts of NOAA are marked for elimination altogether, such as a program that helps localities protect against rising seas and one that supports coastal research at 33 universities. Direct cuts to the National Weather Service and the National Marine Fisheries Service would amount to just 5 percent, but that's enough to strain their operations and make improvements difficult..." (GOES-16 animation: U. of Wisconsin CIMSS). Meet the Teen Planting 150 Trees For Every Person on the Planet. One person can change the world - even an ambitious 9-year old. Inhabitat has the inspiring story: "Felix Finkbeiner is on a mission. Ten years ago, when he was just nine years old, he decided to fight climate change by planting one million trees. At the time he felt like adults just talk about the issues facing our planet without taking much action. With his initiative Plant for the Planet, the ambitious teenager surpassed his original goal together with the United Nations’ (UN) Billion Tree Campaign, planting over 14 billion trees in over 130 countries. And he is just getting started..."
Behind the Quiet, State-by-State Fight Over Electric Vehicles. The New York Times reports: "...Today, the economic incentives that have helped electric vehicles gain a toehold in America are under attack, state by state. In some states, there is a move to repeal tax credits for battery-powered vehicles or to let them expire. And in at least nine states, including liberal-leaning ones like Illinois and conservative-leaning ones like Indiana, lawmakers have introduce bills that would levy new fees on those who own electric cars. The state actions would put the business of electric vehicles, already rocky, on even more precarious footing..."
Illustration credit: Minh Uong, New York Times. Big Tobacco Has Caught Start-Up Fever. Bloomberg reports that it's no longer "smoking". No, now it's "platform-agnostic nicotene delivery solutions." Here's a clip: "...Mature industries typically have a hard time disrupting themselves, but, flush with cigarette profits, the big competitors have decided to try. Since the rise of e-cigarettes, it’s no longer such a stretch to imagine a messianic engineer in a garage somewhere inventing a nicotine-delivery gadget capable of doing to cigarettes what Uber did to taxicabs or Napster did to the compact disc. If your profits hinge on nicotine addicts, you might want that visionary in your employ. Everywhere you look in the industry, companies are pouring money into product development while borrowing liberally from the style of Silicon Valley. They’re funding tech incubators, running venture funds, hosting TED-style talks, and developing apps. The new dogma has spread. Cigarettes are the industry’s past. Reduced-risk tobacco platforms are the user interface of the future..."
Photo credit: "Finlay MacKay for Bloomberg Businessweek; Prop stylist: Peter Samuels; Groomer: Angela Di Carlo." Why Politics if Failing America. Wait, you're telling me the system is rigged? We had no idea. Fortune takes a look at how we got here: "...The Harvard Business School’s project on U.S. competitiveness found that Washington has made virtually no progress on any of the essential policy steps needed to restore prosperity and growth. A broken political system has suddenly become the greatest threat to our nation’s future.So how did we get here? In part, by stealth. Over the last several decades, the American political system has been slowly reconfigured to serve not the public interest, but rather the interest of private, gain-seeking organizations: our major political parties and their industry allies. These players have put in place a set of rules and practices that, while largely unnoticed by the average citizen, have enhanced their power and diminished our democracy..."
Illustration credit: Oliver Munday for Fortune. The Pursuit of Happiness Is Not The Pursuit of Comfort. The author argues that only when we get out of our comfort zone does real growth and progress take place. Here's a clip from Thrive Global: "...What would happen if we not only embraced discomfort, but also chased it and thrived off of it? Lewis Howes makes it a goal to do something new in his business every year that takes him out of his comfort zone. This keeps him from being complacent, and it keeps him in a state of constant growth. The saying that “growth begins at the end of your comfort zone” is not just some cliché. There is actually a lot of truth in that statement. Serious athletes know this all too well. The real workout doesn’t begin until the exercise becomes difficult to complete. It’s when we have to dig deep and push through that we become a better version of ourselves..."
27 F. maximum temperature at Twin Cities International Airport yesterday. 40 F. average high on March 13. 54 F. high on March 13, 2016. March 14, 1943: Snow, sleet and ice cripple parts of Minnesota south of a line from Duluth through St. Cloud and Ortonville. The heaviest ice was in the vicinities of Lake Benton, Springfield and Windom. Ice thickness was 1/2 to 3/4 inch around St. Cloud to 3/4 to 2 inches in the Pipestone, Ruthton, Lake Wilson, Slayton and Tracy. A good description of the ice was submitted in one report: '…ice was 2 inches across and 1 3/4 inch deep on wire. A little frost ice near the wire with the outside solid ice. The ice was irregular in shape.' 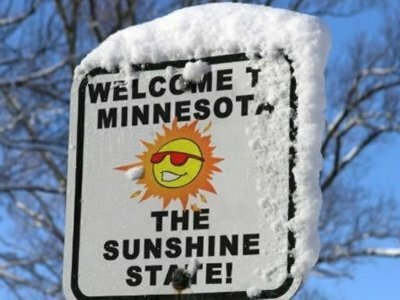 Duluth had 6 inches of snowfall at the city office with 13 inches at the airport. The ice was confined to Moose Lake and south. March 14, 1870: A severe snow and wind storm moves across Minnesota and Iowa. The 'Northern Vindicator' of Estherville, Iowa becomes the first newspaper to use the term 'blizzard' on this date. This Climate Lawsuit Could Change Everything. Do all of us have a constitutional right to clean air, clean water and a healthy climate system? Here's an excerpt from The Washington Post: "...The 21 plaintiffs, now between the ages of 9 and 20, claim the federal government has consistently engaged in activity that promotes fossil fuel production and greenhouse gas emissions, thereby worsening climate change. They argue this violates their constitutional right to life, liberty and property, as well the public trust doctrine, while holds that the government is responsible for the preservation of certain vital resources — in this case, a healthy climate system — for public use. While legal experts are uncertain as to the lawsuit’s likelihood of success, few have disputed its pioneering nature. Similar cases have been brought on the state level, but this is the first against the federal government in the United States. 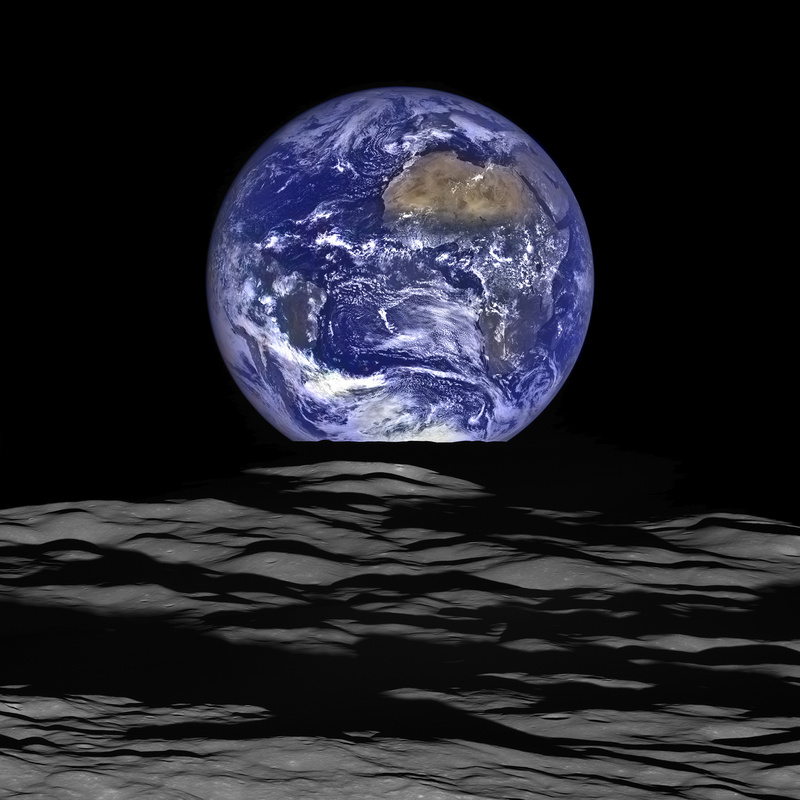 And in November, the case cleared a major early hurdle when U.S. District Judge Ann Aiken denied motions filed by the Obama administration, as well as the fossil fuel industry, to have the lawsuit dismissed, ordering that it should proceed to trial..." (Image credit: NASA). 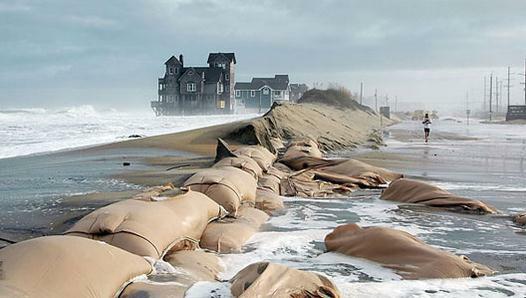 Proposed NOAA Cuts Would Disarm Our Coasts in the Face of Rising Seas, Scientists Say. Here's a clip from a Washington Post article: "...A proposed White House budget for the National Oceanic and Atmospheric Administration could put coastal communities throughout the nation at a major disadvantage as they struggle to adapt to threats from sea-level rise, severe storms and other climate-related events, scientists and other experts said. That’s because the budget, revealed by The Washington Post last week, targets a handful of programs that provide important resources to help coastal states prepare for the coming effects of climate change..." (File photo: Andrew Demp, Yale). 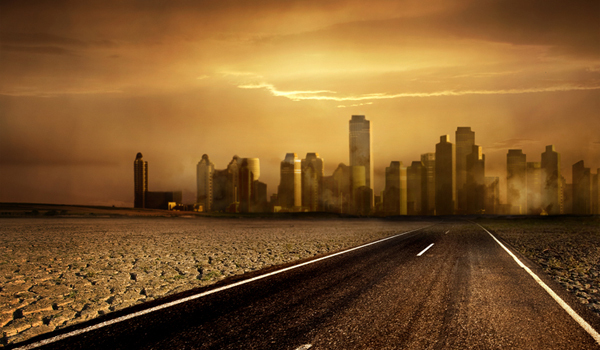 U.S. Increasingly Isolated on Climate. Here's a snippet of an Op-Ed at USA TODAY: "...Virtually all other countries — even longtime climate deniers and horrific polluters like China and India — have come to recognize the existential danger to their people, if not the planet, by man-made production of greenhouse gases. And they are putting in place programs to curb them, often at considerable cost to development. China’s leadership has only to look outside its windows in Beijing to see citizens staggering through blinding pollution, their faces covered with masks. Those 175-plus countries gathered near Paris two years ago signed a sweeping and unprecedented agreement to put a brake on practices that are destroying the atmosphere of our planet. Trump, buffeted by competing viewpoints within his administration, could well blow apart the agreement and at the same time deal a body blow to U.S. leadership in the world..."
Longer Heat Waves, Heavier Smog Go Hand in Hand with Climate Change. Ars Technica reports: "Exposure to high levels of airborne pollutants is an ongoing problem, as is exposure to extreme temperatures. If these two overlap, then it's possible that the health impacts will be greater. A recent paper published in PNAS uses 15 years of climate observations in the US and Canada to show that the two problems do indeed cluster together and occur in overlapping, large-scale episodes. The largest of these episodes has the hottest temperatures and the highest level of pollution..."
In Race to Curb Climate Change, Cities Outpace Governments. Reuters has the story; here's an excerpt: "...Cities from Oslo to Sydney are setting goals to curb climate change that exceed national targets, causing tensions with central governments about who controls policy over green energy and transport and construction. More than 2,500 cities have issued plans to cut carbon emissions to the United Nations since late 2014, setting an example to almost 200 nations that reached a Paris Agreement in December 2015 to fight global warming. Although there are no officially collated statistics available, many city targets are more ambitious than those set by governments under the Paris accord, which imposes no obligations on cities, regions or companies to define goals. Just over half the world's population lives in urban areas, meaning municipalities will help to determine whether the historic shift from fossil fuels to cleaner energy agreed in Paris succeeds or fails..."
Photo credit: "A general view of the site for a new kindergarten on a fossil fuel free construction project in Oslo, Norway February 3, 2017." Picture taken February 3, 2017. REUTERS/Alister Doyle. 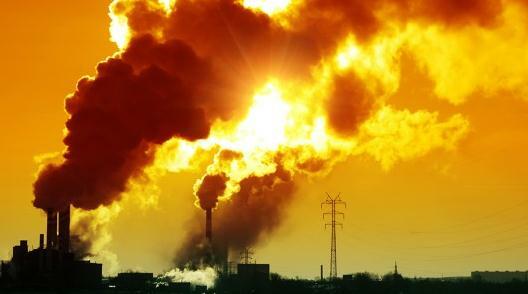 Global Climate Change Battles Increasingly Being Won in Court. Here are a couple of excerpts from a Newsweek article: "The South African government has lost the country’s first climate change lawsuit after the hight court ruled against its plans for a coal-fired power station, the latest in a rising tide of international climate litigation. Environmental NGO EarthLife Africa challenged the government’s approval of the proposed Thabametsi coal-fired power station on the grounds that it should have been preceded by an evaluation of its climate change impacts....The case comes shortly after a groundbreaking climate case decided last month in Austria. A federal court blocked the expansion of Vienna’s international airport because the increase in carbon emissions that a new runway would generate is inconsistent with Austria’s commitments to tackle climate change..." (File photo: NASA). For Big Oil, Climate Change Looms Large Even In Trump Era. The clean-fuel/renewable revolution train has already left the station. San Antonio's Express-News has the story: "....But Trump and his advisers may have lost the audience. Throughout the conference known as CERAWeek by IHS Markit, energy ministers, CEOs and other top executives showed that the industry is running ahead of policymakers on climate change, no longer treating it as an inconvenient theory, but rather as a hard reality to which it must adapt and change. 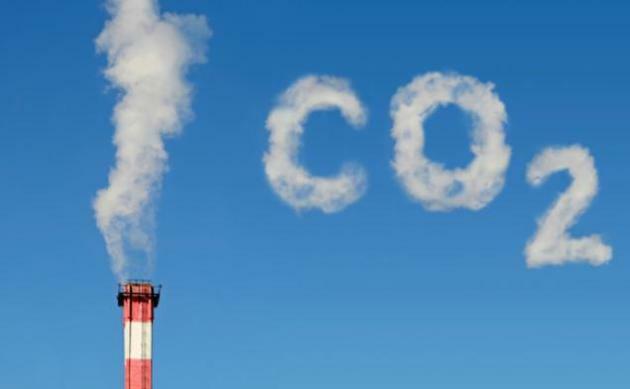 Khalid al-Falih, the Saudi Arabian energy minister, called on his colleagues to find ways to “minimize the carbon footprint of fossil fuels.” Exxon Mobil chief executive Darren Woods said energy development can only move forward by protecting the environment and climate. Ben van Beurden, CEO of Royal Dutch Shell, said the industry needed to produce more energy with fewer carbon emissions..."